You can buy your Machu Picchu bus tickets online and print them yourself to avoid the long lines at the ticket office where you could spend an additional hour just to purchase bus tickets. 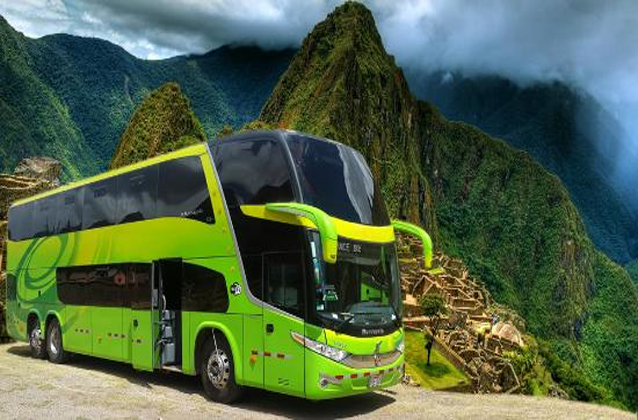 Remember that 5,000 people a day visit Machu Picchu so having your bus ticket in hand saves you time. Machu Picchu bus ticket going down from the entrance of Machu Picchu to the town of Aguas Calientes. After your reservation is received, you will be emailed you bus tickets within 24 hours unless your buying for tomorrow. In that case, we will rush your tickets and email them to you within 30 minutes. The town of Aguas Calientes, also known as Machu Picchu Pueblo, is where the Machu Picchu buses depart to to the Machu Picchu Citadel. When you purchase your bus tickets online, you will receive directions and a map to the bus station. However, the town of Aguas Calientes is so small that it is very easy to find the bus station. Return buses (coming back from Machu Picchu) depart every 10 minutes starting at 7:30am until the last passanger is picked up. 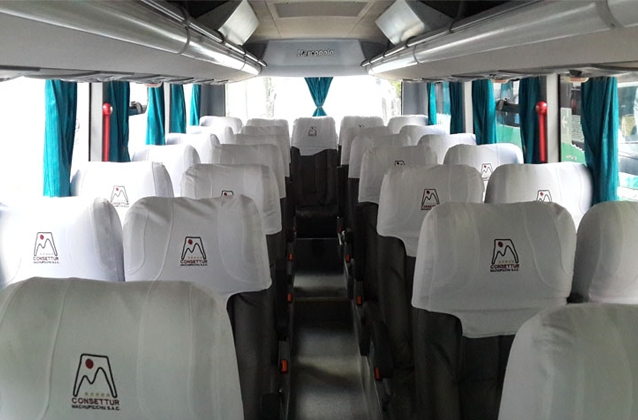 Guaranteed seat in a bus equipped with a modern ecological design that allows the passenger to travel comfortably during the 20 minute bus ride up to Machu Picchu as well as the bus down to Aguas Calientes. The bus route goes up in a zigzag through the middle of the cloud forest. The bus ride up to Machu Picchu from Aguas Calientes is 25 minutes. The bus ride down from Machu Picchu is also 20-minutes.